PSL's large diameter gate valve can be installed with DN50 or DN80 Gate Valve,in order to open main valve more efficient. *PSL Gate Valves are made of ductile cast iron and meet BSEN1563 requirements. *2Cr13 stem is provided as standard to eliminate bent or broken stems. *Fully encapsulated EPDM wedge disc to prevent deterioration. Looking for ideal Large Gate Valve Manufacturer & supplier ? We have a wide selection at great prices to help you get creative. 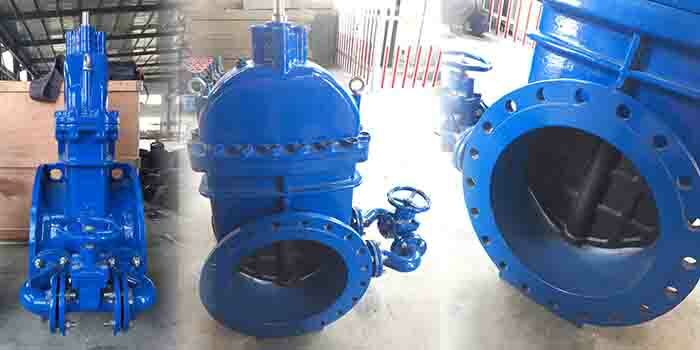 All the Sluice Gate Valve are quality guaranteed. We are China Origin Factory of BS5163 Gate Valve. If you have any question, please feel free to contact us.